Winter foliage and nuts display your love for the season and wraps your wording in its beauty. This double-sided wedding invitation features your wording on the front and your names and wedding date on the back. Here are the fonts that have been used in the wedding invite design above. Like this wedding invitation? You can personalize it with your own wording and details at invitationsbydawn. 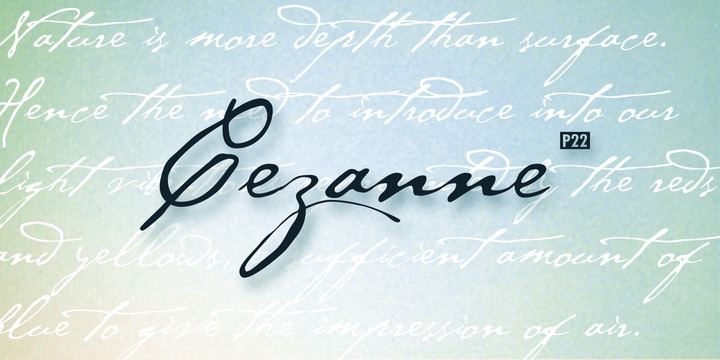 Designed by Michael Want and James Grieshaber for the Philadelphia Museum of Art, Cezanne is a handwriting font inspired by the work of influential French artist Paul Cézanne. You can buy and download the font here.